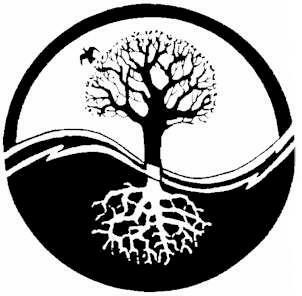 "I believe the ROOTof most of our problems in the world today stem from a lack of balance between the yin (rooted in the right brain) and the yang (rooted in our left brain)- those complimentary energies within each of us. Our weakened yin energy results in a lack of action being rooted in deep compassion, empathy, intuition and inspiration. I believe that inspired art, in and of itself, aids in healing the yin energy and our connection to the divine. This healing is magnified when creating art in and for community." Music and poetry are not only in my soul, but they are part of my ROOTS. My name is Angela Katherine (after my grandmother Katherine Larsen- award-winning poet extraordinaire) Bennett (my grandmother Marge Bennett was a musician). I have spent my life acting, singing, improvising, writing/playing music and producing shows. I have also consciously taken paths of personal spiritual healing and transformation which have sometimes led to very deep and dark places-healing at the root sources. At this point in my life, I can truly say that I'm more free and I feel more joyful than I have ever felt before. Most importantly, I have been using my creative gifts more consciously as a healing artist- one that aspires to facilitate transformation through art.